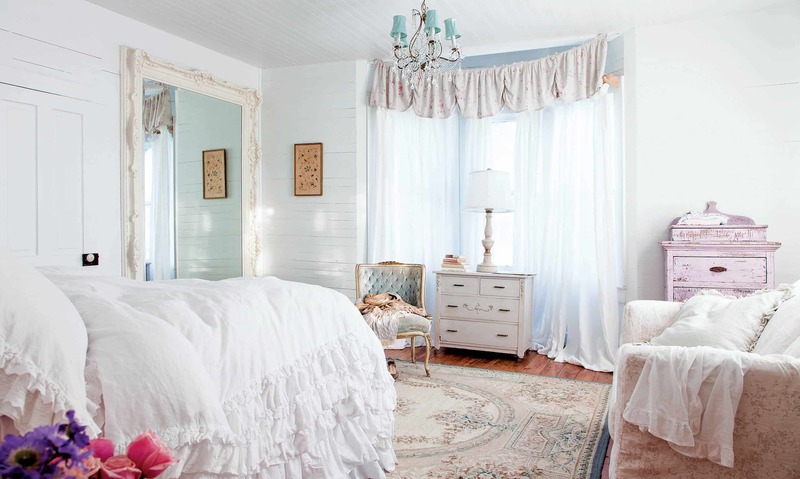 Bedroom’s with a shabby chic aesthetics give your space a feminine feel with just the right amount of cozy. There’s something extremely vintage feeling about this kind of styling. Almost as if it that brings an old-world vibe right where you need it. Consider it one of the best ways to collect eccentric pieces that you can have displayed while still using an abundance of color. If you have been contemplating adding a shabby chic allure to your room, this guide will help you. Pair your polka dots with a floral pattern for an intensified look, that makes sense to the rooms overall appeal. Polka dots are an excellent option when it comes to using a pattern for a shabby chic room. They’re uniquely adorable and come in multiple different colors, making them perfect to add something different yet essential to a shabby chic room. Furthermore, add similar looking curtains to bring a hippie vibe with a cohesive element to it. The key is working with hues that make the room feel grander while being put together. Pair with neutral to make the room feel shabby yet have a classic touch that comes to life in a cohesive manner and makes the room feel whole. Whether you are familiar with shabby chic décor and its origins, or not, shabby décor has a large use of hues of white. White feels fresh and clean while still making a splash and allows you to work with an abundance of other hues. Keep in mind, this trend relays on soft colors and pastels. The idea is using white as the base and working around it in order to make the room feel as open and airy as possible. When going minimal consider having bolder bits such as color or textured appeal. Doing so will add that character in the room needs to feel shabby chic with personality. 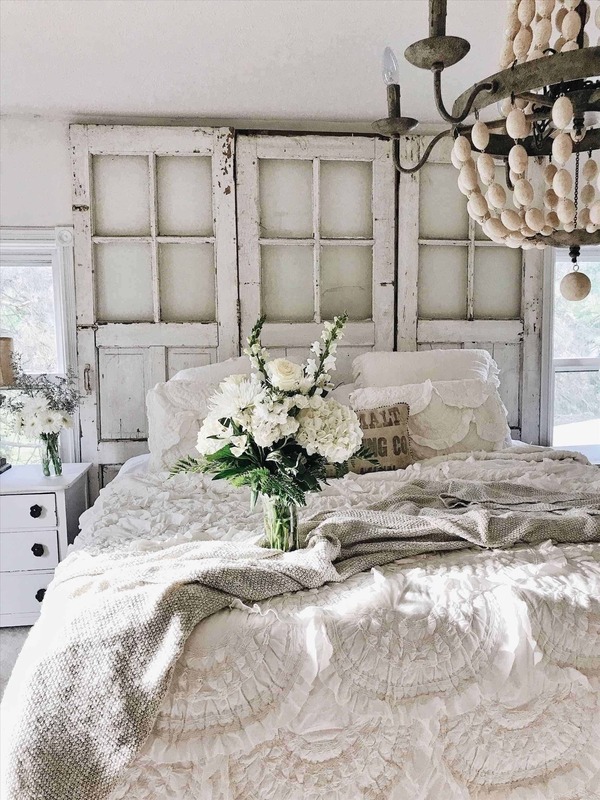 Going minimal might seem like the strangest thing to do when you’re working with creating a shabby chic décor, but it’s actually one of the very best things you can do to execute your style seamlessly. Add soft textures with bits of vintage from other decorative items. Furthermore, consider adding wood elements for a softer textured approach. You want to keep your décor open and clean with just the right amounts of serene to make a big splash. Burlap might seem like an afterthought item, but when it comes to shabby chic decor it should be at the forth front of a beautiful contrasting item. Although burlap is traditionally used in small doses when it comes to crafting a shabby chic aesthetics, you want to have quite an abundance of burlap. Burlap has a naturally textured feel and character to it, so it makes sense to have it displayed throughout the room. Pair with other textured fabrics such as lace for a feminine influence that can be felt throughout. Adding specific detailing above your bed is an excellent form of bringing focus to that specific area while keeping the room sleek and minimal. 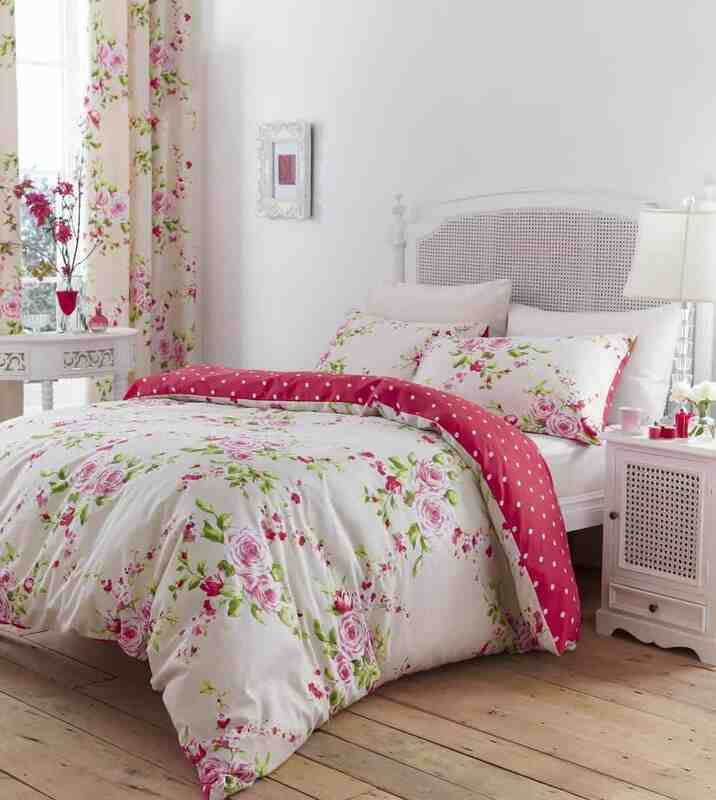 When deciding how to display the shabby chic appeal you want to focus on your bed. The room should revolve around your bed structure. Pile an abundance of throw pillows, shams, quilts and comforters for that cozy touch that makes you want to run to your bed. 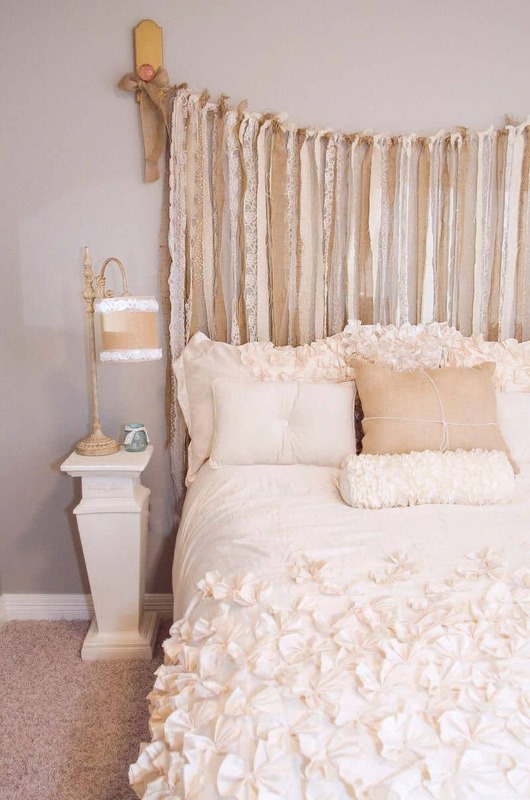 Pay close attention to softer colors and patterns in order to bring that shabby chic touch front and center. 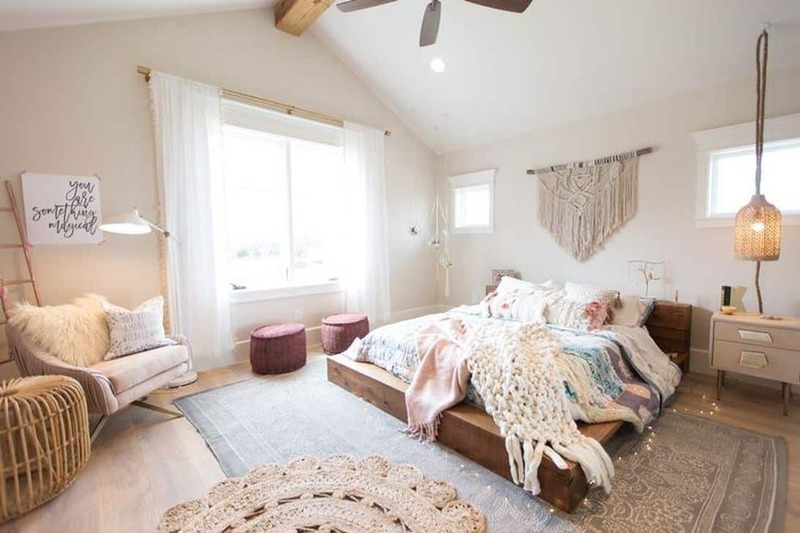 When it comes to mixing patterns make sure you use as an abundance of them, but with similar hues in order to connect them and have them displayed in a way that appeals to the room and its overall structure. Patterns As previously stated, patterns are a big deal for shabby chic décor. With that in mind, you want to mix and match different patterns that seem as if they don’t work well together but when displayed they make a statement. Feel free to pair stripes, polka dots, and florals with the same color scheme and display it around the room. You want to have your patterns displayed together yet with breaks of neutrals for a balance that is felt throughout the room. Using different hues of pink allows you to go bold with your decor while still having the perfect display of unique bits displayed throughout. Just like white, pink is a staple hue in shabby chic décor. The hue itself brings a feminine vibe with a laid back, artistic visual. When working with hues of pink you want to go as bold as possible. What this means is, you want to have the same hue displayed multiple times in a seamless manner. Pair with softer pastels to make the room feel grand in its own unique type of way. A vintage chandelier with a crystal aesthetic is perfect for those rooms that need something extra. Light fixtures are extremely important in any room, but they take new meaning in a shabby chic room- that is where a vintage chandelier will come into play. Having a vintage chandelier adds an old-world feel. The key is having your chandelier as one of the main elements of the room. 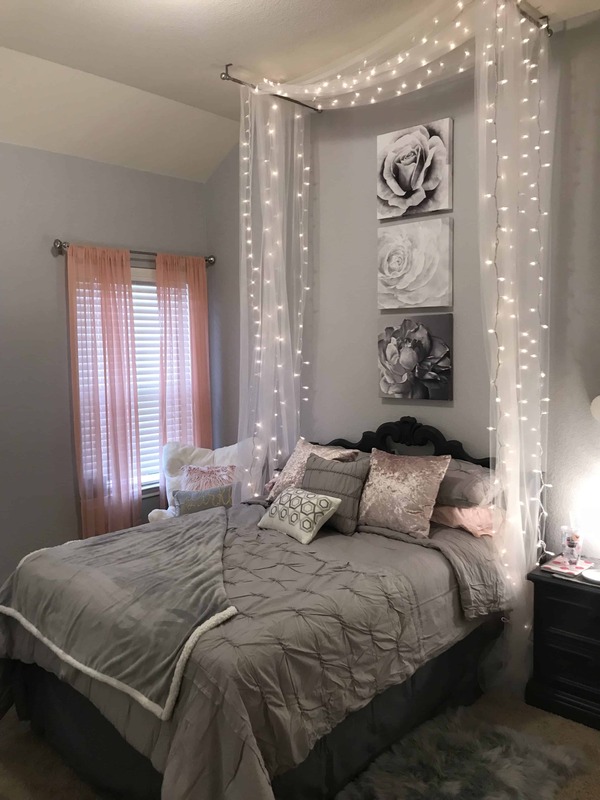 Having this element will bring enough uniqueness to the room that the chandelier will add personality to a large dose without taking away from the space. When looking for the perfect wallpaper, select one that will bring color to your room without overbearing the space. The key is having a wallpaper that perfectly blends into the room. Wallpaper is one of those decorating element’s that can make or break a room. It truly is an essential piece of décor particularly when you are working on creating a decorating style that isn’t seen very often anymore. Add a wallpaper with a repetitive pattern and allow it to make a huge statement through the room. The pattern will brighten the overall space while having something that defines that you already have. The more distressed wooden items you have the shabbier your room will appear. There’s a very natural feel to wooden items that give the room that classic appeal. Distressed wood elements combine the simplicity of rustic décor while still having that unique element that provides something unique. Use a combination of pastel hues and hints of white to create a sleek palette that gives you more than enough room to work in distressed wood elements. The key is having one or two distressed wood fundaments to create that shabby chic fantasy in the room. 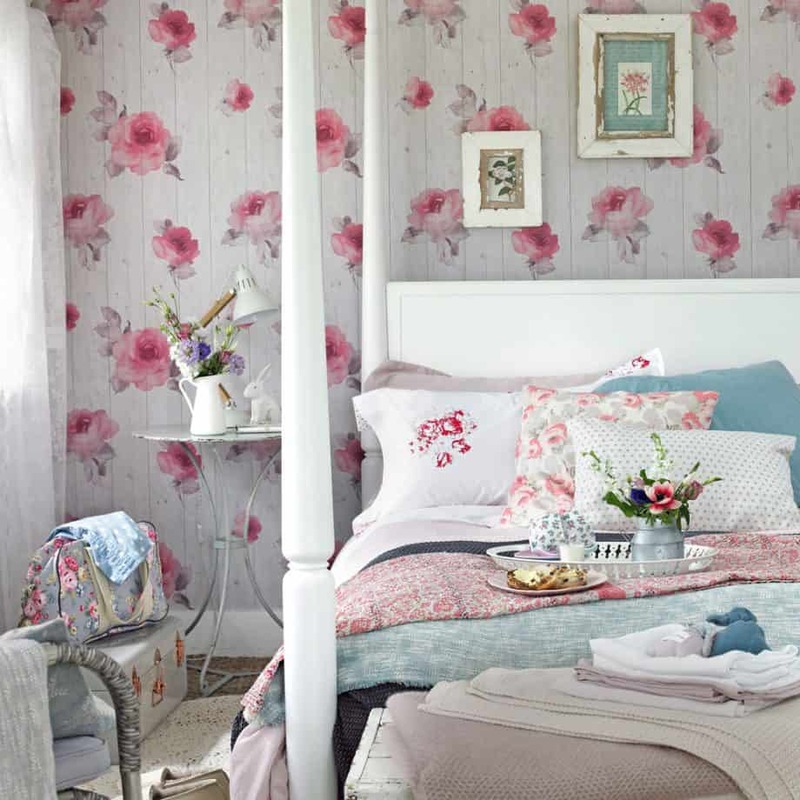 Have you always wanted a shabby chic room? If so, share with us your ideas below. 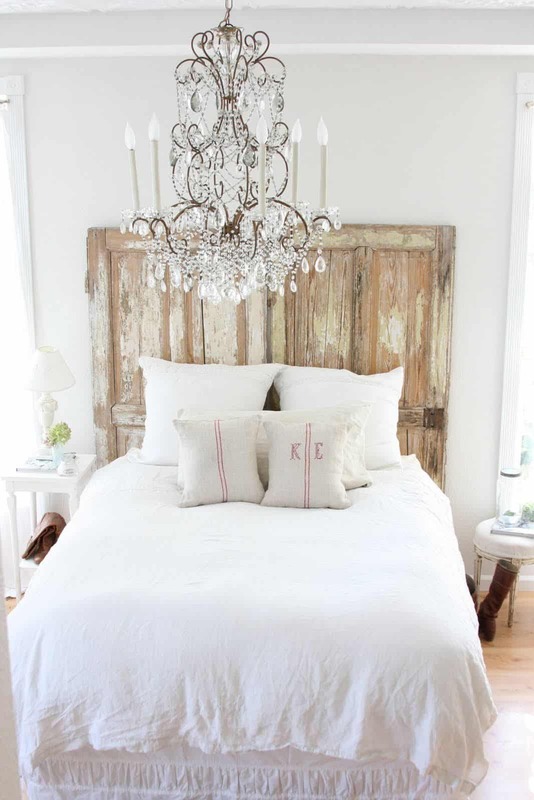 The post Beautiful Shabby Chic Bedroom Ideas To Take In Consideration appeared first on Trendir.